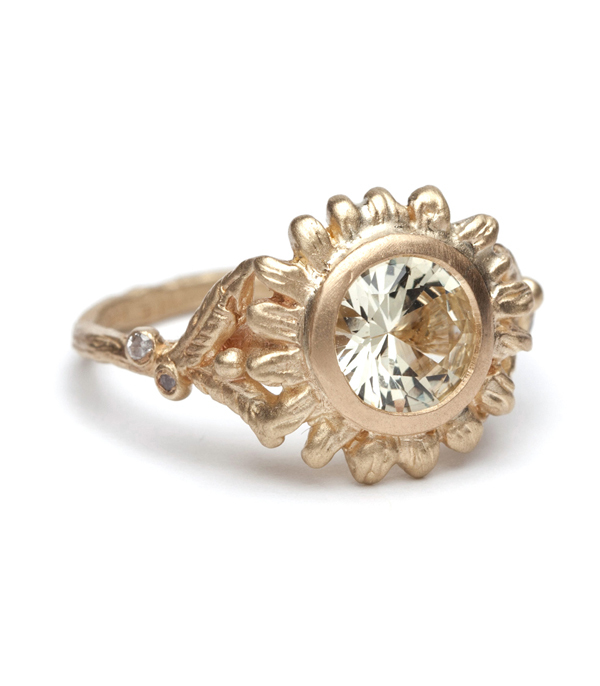 Our freshest pick, this lovely sunflower engagement ring features a rich, 1.16 ct sunny yellow sapphire center. 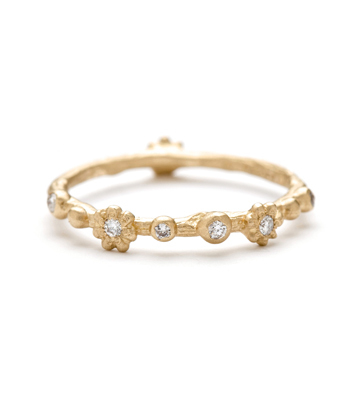 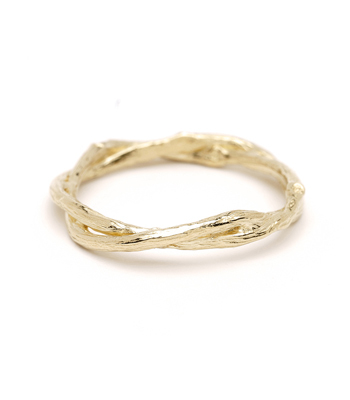 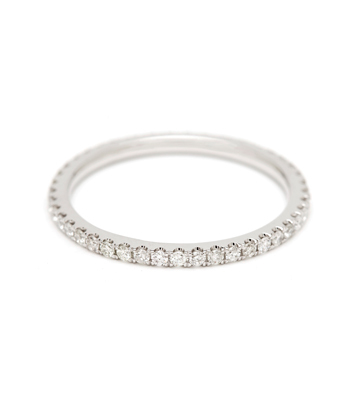 Sculpted petals encircle the stone and curving leaves and diamod set pods accent the twig textured band. 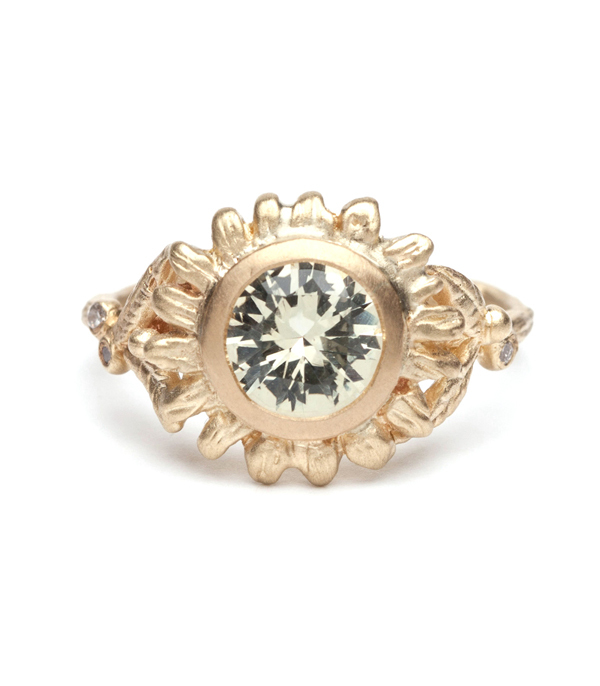 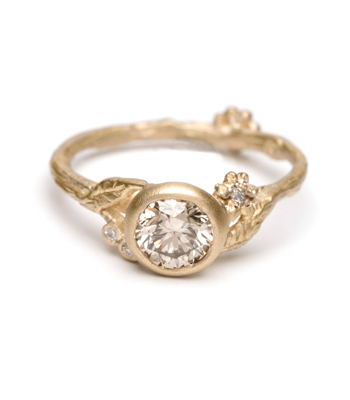 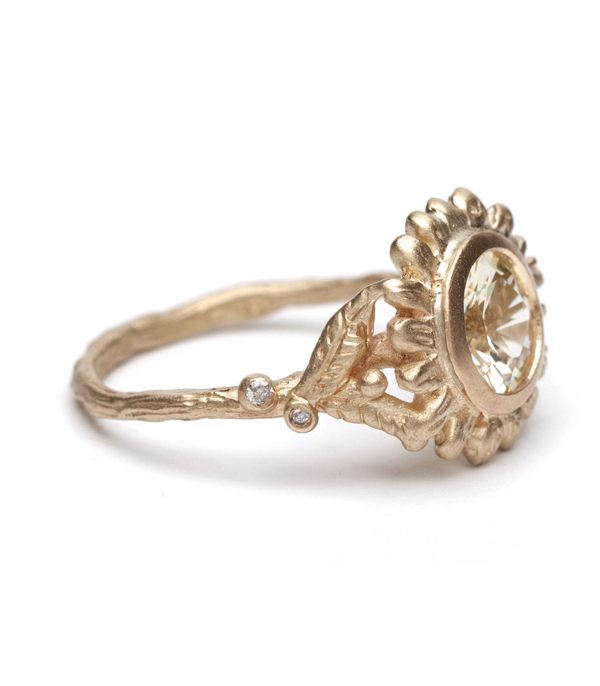 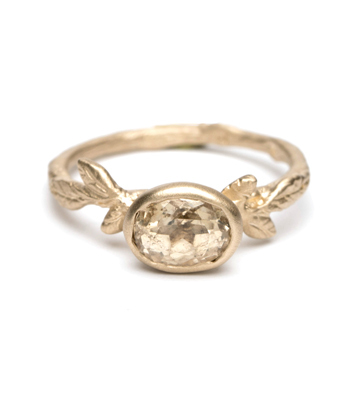 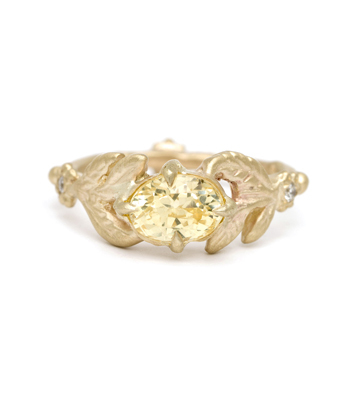 This ring is a fitting choice for the “Natural Beauty” bride who loves her jewelry to reflect her sense of whimsy and the beauty of the natural world.